Welcome home to Courtside Landings Condo, located within the much sought after Brunt Store Marina gated waterfront/golf community. 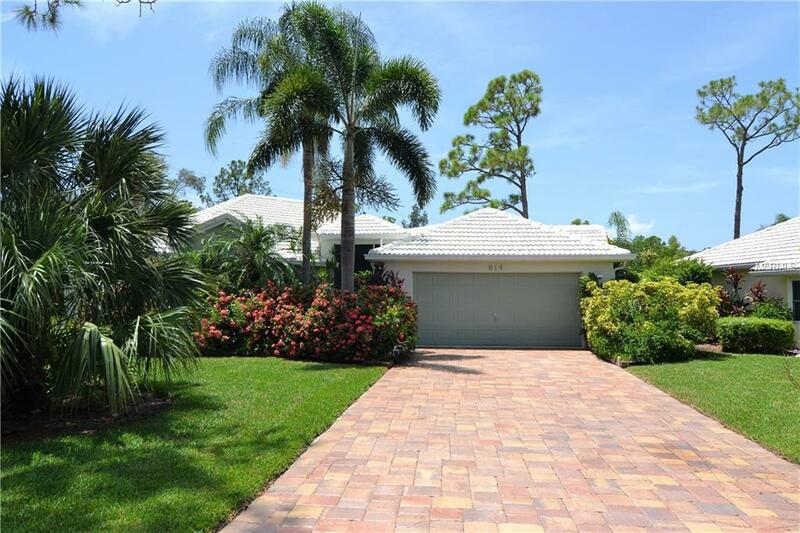 Beautifully maintained home located in a picturesque neighborhood with perfectly manicured lawns and vegetation welcome you as you approach your new home. Spacious 1734 square foot heated home offers 3 bedrooms 2 full bathrooms and 2 car garage. 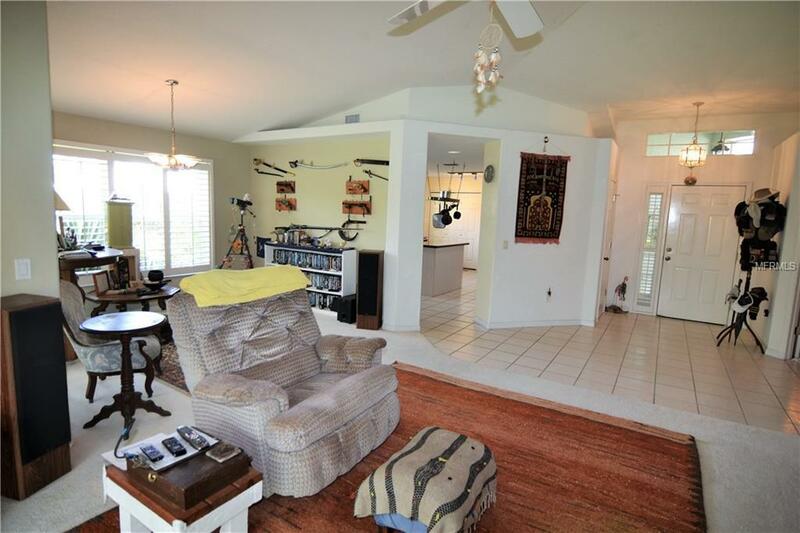 The open floor plan concepts greets you as you enter home, tiled floor in entryway leads to carpeted living room/dining room area with vaulted ceilings, plantation shutters, planter shelving and both with sliders out to the over-sized lanai. The kitchen is tiled with recessed lighting, kitchen island, laundry closet, tons of cabinet/counter space. 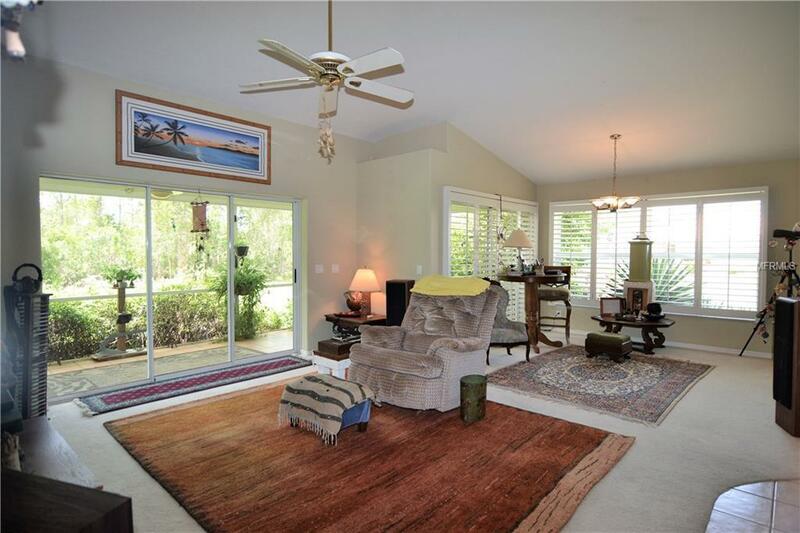 Your spacious master bedroom is carpeted with hi ceilings and slider out to the lanai area. Master bathroom with walk in shower, garden tub, dual vanities and large walk in closet. 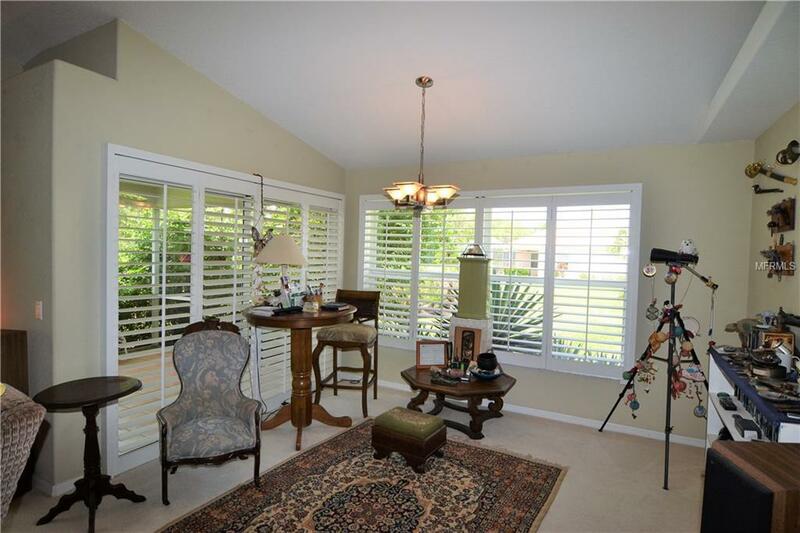 Guest bedrooms with plantation shutters, carpet, ceiling fans and one with french doors and crown molding could be used as office/den. Step outside for your morning coffee and relax on your tiled lanai overlooking a wooded backyard. A/C was replaced in 2013. 2 car garage with generator hook up. Residents enjoy all the fabulous amenities of resort style living, including a 525-slip marina with direct access to Charlotte Harbor and the Gulf of Mexico. Waterfront dancing & dining, 27 holes of challenging golf, athletic center, tennis courts, biking & walking paths, Platinum Point Yacht Club and more. Additional Lease Restrictions Please See Condo & Hoa Docs For Lease Restrictions.